I’ve always said, if there is no risk then there is no fun. Risk provides us with the zest in life. We play sport, we surf, climb mountains, take long walks in the bush and jump out of aeroplanes. It’s all risk and it somehow makes us happier with life. In the past a long country drive was also full of risk although these days we try and reduce that risk as much as possible by providing rest centres and “driver reviver” stops to enable drivers to take a break on long trips, thus reducing the fatigue. The picture to the left is of one such stop on the Federal Highway next to Lake George (itself a wonder) near the border between New South Wales and the Australian Capital Territory. 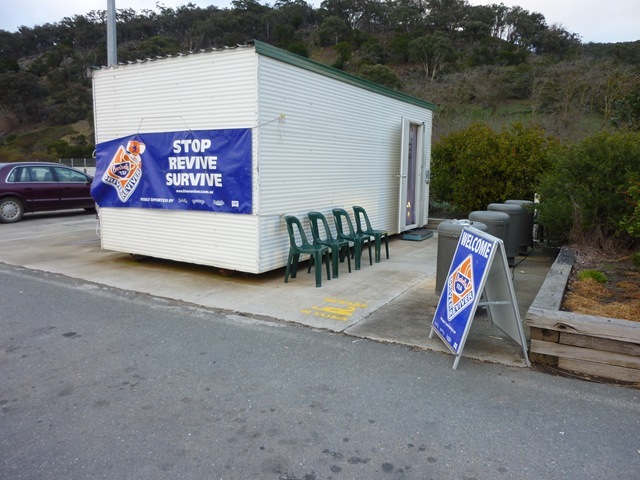 The driver reviver stop is good. Australian companies provide local charitable or social organisations such as Rotary, the Lions Club, the State Emergency Services and the local Bushfire Brigades with the makings for tea or coffee. Bushells currently provides tea bags and coffee whilst Arnott’s provides some biscuits as a snack. The social organisations then man the Driver Reviver stops and make tea and coffee for weary travellers. Those running the Driver Reviver will generally have a collection bucket out where travellers may make a donation. The beauty is that you have to physically stop the vehicle, get up off your bottom (no drive throughs here) and walk over to the folks making the tea or coffee. The hot drink is free as are the biscuits. The cup the drink comes in also does not have a lid you can drink through so you really have to wait and drink the tea before heading back off on the road. All-in-all, a great way to ensure that a driver gets a break. Of course, this is Australia and as I mentioned above, we like risk. The photo to the right is on the way into the driver reviver stop photographed above. 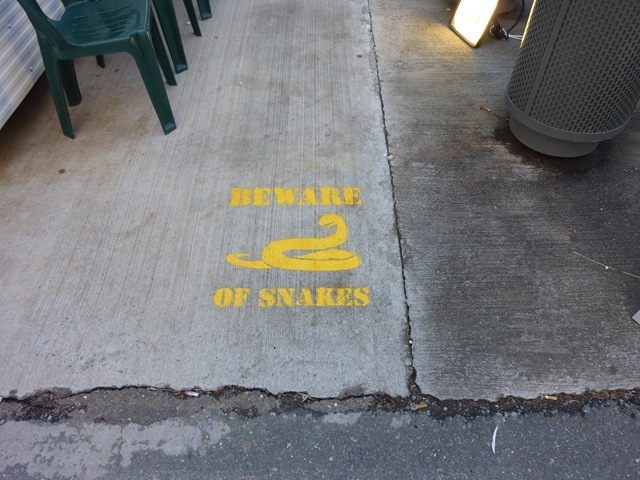 Ah Australia … where in Australian nature, if it moves it will likely eat you or poison you – if it doesn’t move it will probably just give you a nasty sting!